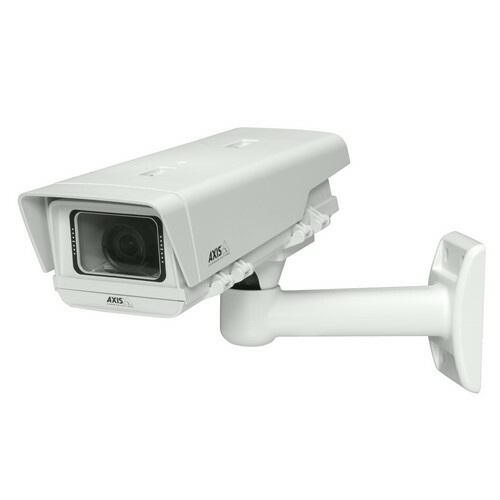 The AXIS M1113-E Network Camera has a CS-mount, varifocal, DC-iris lens and provides excellent image quality without motion blur using progressive scan at 30 frames per second in SVGA resolution. Multiple H.264 streams, as well as Motion JPEG streams, can be provided either in full frame rate or individually optimized for different quality needs and bandwidth constraints. The camera is easy to install outdoors thanks to Power over Ethernet support, a removable sunshield and a wall bracket. It has protection against dust, rain, snow and sun and the operating conditions ranges between -20?C to +50?C (-4 ?F to 122 ?F) and requires no additional heater.